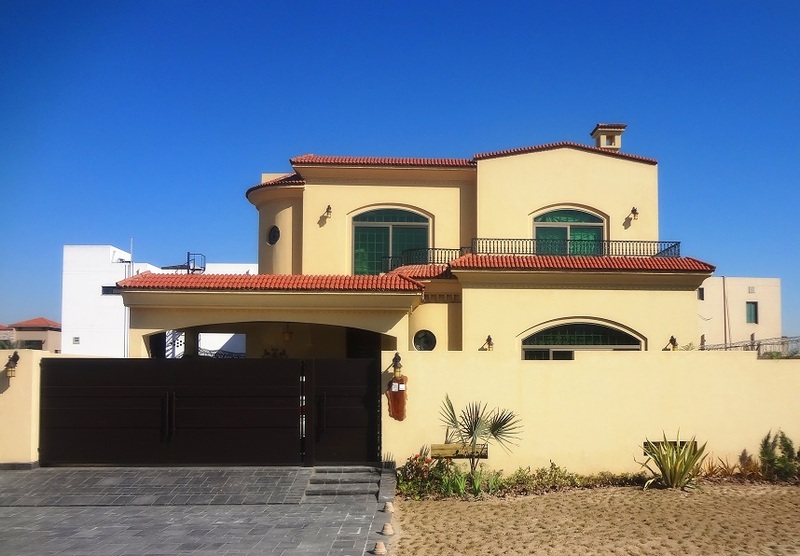 The Mediterranean architectural style is the second most popular home design in Pakistan when it comes to designing new dwellings. The architectural style that has a strong influence of Spanish and Italian architecture is widely appreciated by Pakistani homeowners. 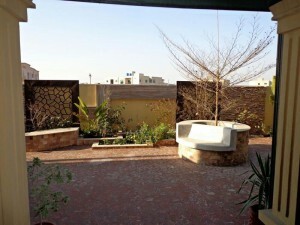 The homes built in this unique and timeless styles are usually found in modern localities like Bahria Town and DHA Lahore. 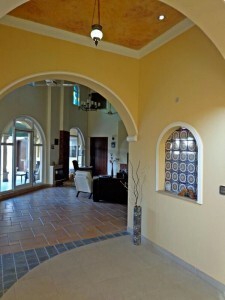 The red tile roofs, rough plaster exteriors and arched doorways are some of the design features that instantly allow you to single out a classic Mediterranean style home. However, over time reflection of European architecture can also be seen in this beautiful ornate style of construction. Here is one fine example of Mediterranean style home that is designed and constructed by AmerAdnan Associates in Lahore. The unique home plan proffers distinct Mediterranean-inspired exterior that is complemented by a soft modern interior. The unusual combination exudes sophistication and elegance, yet providing relaxed outdoor and indoor living. Mediterranean-style homes ability to stay cool during warm climates make them ideal for states where the temperature remains high during summers. The half tube shape of the red roof tiles makes allowance for an air pocket to form in the tunnel which keeps the abode cool. Inside the home tile or marble is used for flooring, which keeps the feet cool on a warm day. The typical open floor plans of the Mediterranean style allows you to enjoy optimal views and breezes by building large balconies and windows. Whereas interiors open to patios and courtyards, such as the one shown in this plan. The distinct look of the Mediterranean-style home’s exterior is created with a lighter paint color to contrast with the roof of the house. Decorative railings, stonework, and carved doors are common with such home style. 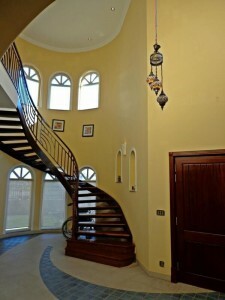 Mediterranean style is just one of the numerous home designs that AAA offers. Whatever home design or style you have in mind, AAA can aid you to create an ideal home plan for it by meeting your needs and keeping the aesthetics in view. 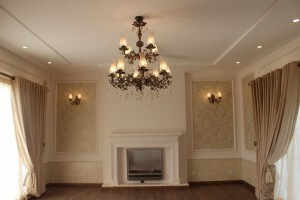 So get in touch with the specialized design and construction company in Lahore today and view our beautiful portfolio to design a custom home for your family.